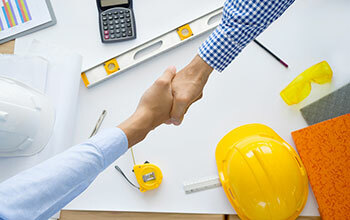 Salinas Job Order Contracting | Ausonio, Inc.
At Ausonio Incorporated, we’re skilled at collaborative, team-driven job order contracting (JOC) so our customers in Salinas, Monterey, San Benito, and Santa Cruz counties can depend on us for common or routine construction projects. As a commercial construction company that offers commercial repairs and maintenance through JOC contracts, Ausonio is focused on getting your work done in the most cost-effective and timely manner. Our number one concern is partnering with you to provide the service, quality, and price-points you desire. What Are the Benefits of Securing a Job Order Contract? How Does Job Order Contracting Work? It’s important to point out that Ausonio does not offer JOC for large-scale construction projects that are just beginning. It’s best used for smaller construction projects that have clear goals and defined tasks. JOC contracts are perfect for renovation, adjustments, ad-hoc repairs, and general maintenance of facilities and infrastructures. We understand that your needs are unique and we are open to discussing a flexible plan that works for you. We look forward to discussing your needs and how job order contracting can become a win-win solution for you and Ausonio—and how we can form a partnership that will take care of you. We are in Salinas, California, and serve customers in Monterey, San Benito, and Santa Cruz counties. Ausonio Incorporated professionals are awaiting your call—reach out to us today.